The Kumon Of Danville center is located at 4125 Blackhawk Plaza Circle, Suite 180, Blackhawk Plaza. Danville. The center is open to students on Mondays and Thursdays 3:00 PM to 7:00 PM each week. The location of the center at the back of the Blackhawk Shopping center. 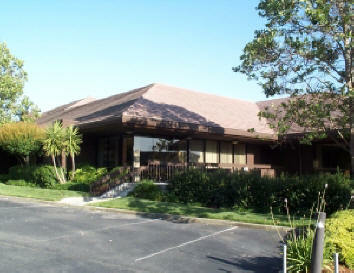 The Kumon Of Danville center is located at 4125 Blackhawk Plaza Circle, Suite 180, Blackhawk Plaza in Danville. The center is located on the hill in the Blackhawk shopping complex. The most convenient approach is to drive into the shopping center from Blackhawk road. You will see the Bank of America building on your right hand side. Take the next available left turn up the hill. Please see the map below. Do not drive into the shopping center immediately in front of you. Instead continue all the way up the hill into a large parking lot at the top of the hill. The Kumon center is located in the first building (#4125) on the right. The special Kumon entrance is on the lower level at the right hand side of the building (down the steps). Click here for a 3D map. The center holds reading and math courses for students in pre-K to 12th grade. Feel free to visit us (on Monday and Thursday afternoons) between 3:00 PM to 7:00 PM. 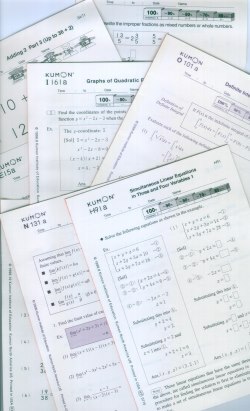 Kumon’s founder was a math teacher, and the original study plan he developed was in mathematics. While that program has evolved considerably, Kumon Math remains our most widely attended and recognized program. Kumon Math is a comprehensive program that develops the necessary skills to help a child progress from counting to calculus. Often children have trouble simplifying fractional expressions in algebra because they have not mastered basic calculations. The Kumon Method develops proficiency at every level, so Kumon students build the solid foundation they need to advance more successfully and confidently through their school’s math curriculum. The ease with which Kumon students routinely learn to perform basic operations and solve problems is perhaps the most dramatic testament to the effectiveness of the Kumon Method. Click here for more detail information about our Math program. Parents have grown increasingly aware of the importance of having their children acquire good reading skills at an early age. This can often mean the difference between a child excelling or having difficulty at every phase of learning that follows. Not surprisingly, Kumon Reading is our fastest growing program. Kumon Reading is a balanced program representing the best documented practices in reading instruction. It covers skills from understanding the sounds that make up words to the summary and critique of complex reading passages. Good writing and speaking skills are fostered as a natural outgrowth of the Kumon Reading curriculum. Kumon students at every level read daily. That alone confers enormous benefits. Click here for more detail information about our Reading program. Who goes to Kumon Of Danville Reading? Learning skills that last a lifetime aren’t developed overnight. Just as a child needs to practice daily over time to become adept at a sport or musical instrument, so too does he or she need daily work in order for academic skills to develop and flourish. Most Kumon students attend a Kumon Center twice a week. That leaves five days when work must be completed at home. This usually takes about twenty minutes each day. Kumon parents generally find that their children end up with more time to pursue other interests because they’ve developed far more efficient study habits, along with the skills to do both Kumon assignments and schoolwork quickly and accurately without wasting time. Kumon Of Danville Center View from outside the building. Kumon Of Danville Center Map. Click here for a 3D map. click on the arrow within this window. Parents and instructors are responsible for the behavior of their children and maintaining the quiet use of the center. Do not talk on the cell phone while inside the center. Please arrange to come in and collect your children when they are finished work. Young children should not wait outside the building or play in the parking lots. If you will not be able to drop your child off at the center on a particular day let us know beforehand so we can leave the next weeks work in a box outside the building.